The astonishing international bestseller that chronicles how a brain scientist's own stroke led to enlightenment. On the morning of the 10th December 1996, Jill Bolte Taylor, a thirty-seven-year-old Harvard-trained brain scientist experienced a massive stroke when a blood vessel exploded in the left side of her brain. A neuroanatomist by profession, she observed her own mind completely deteriorate to the point that she lost the ability to walk, talk, read, write, or recall any of her life, all within the space of four hours. As the damaged left side of her brain - the rational, logical, detail and time-oriented side - swung in an out of function, Taylor alternated between two distinct and opposite realities: the euphoric Nirvana of the intuitive and emotional right brain, in which she felt a sense of complete well-being and peace; and the logical left brain, that realized Jill was having a stroke and enabled her to seek help before she was lost completely. 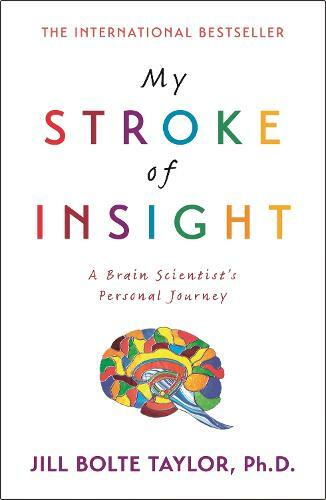 In My Stroke of Insight: A Brain Scientist's Personal Journey, Taylor brings to light a new perspective on the brain and its capacity for recovery that she gained through the intimate experience of awakening her own injured mind. The journey to recovery took eight years for Jill to feel completely healed. Using her knowledge of how the brain works, her respect for the cells composing her human form, and an amazing mother, Taylor completely repaired her mind and recalibrated her understanding of the world according to the insight gained from her right brain that December morning. A brilliant account and personal journey- very touching and interesting. A great read for anyone with experience of a stroke.